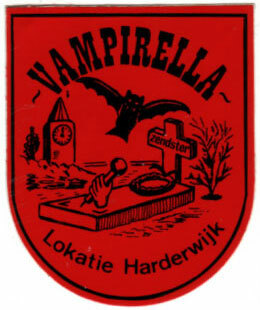 These stickers were available through mail order from the Warren Vampirella magazines from the early 1970s. This is THE classic Vampirella pose featuring the art of José Gonzalez. Dewey Cassell contacted me about this sticker to say "One was the traditional sticker you usually see, and the other was a window sticker, with a reversed image, intended to be placed on the inside surface of a window - on a car or house, I suppose - so you could see it through the window. 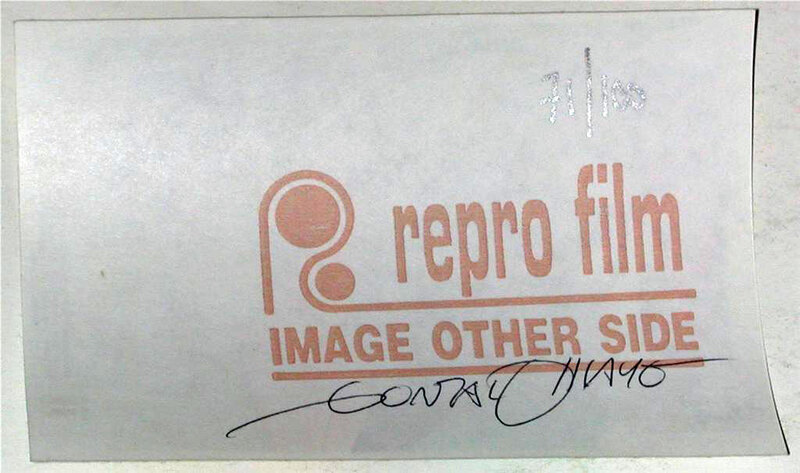 In all my years of collecting, I only ran across the window sticker once." Well, Dewey, here's a picture of the window sticker. I have one, in wonderful condition, with thanks to Marc Mokken of Art of Comics in Holland. 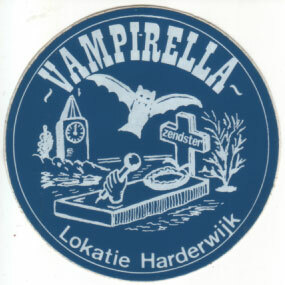 Click here if you would like to see the traditional sticker and the window sticker side by side. Not quite a classic pose, but this Drew Posada print is quite common on eBay. It first appeared about 2001 and has been a regular item since - not just as a sticker but appearing in a variety of media. This sticker was distributed distributed at the Comic Book Extravaganza in New York City on February 4, 1996. 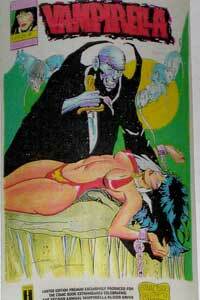 It features the art and autograph (on the back - see below) of Warren Vampirella artist, Gonzalo Mayo. It measures 4 1/4" X 2 3/4", and was part of a package of exclusive premiums available to blood donors only. You had to donate blood in order to get one. This particular sticker is #71 of only 100! It was authorized by Harris Publishing, who attended the event. 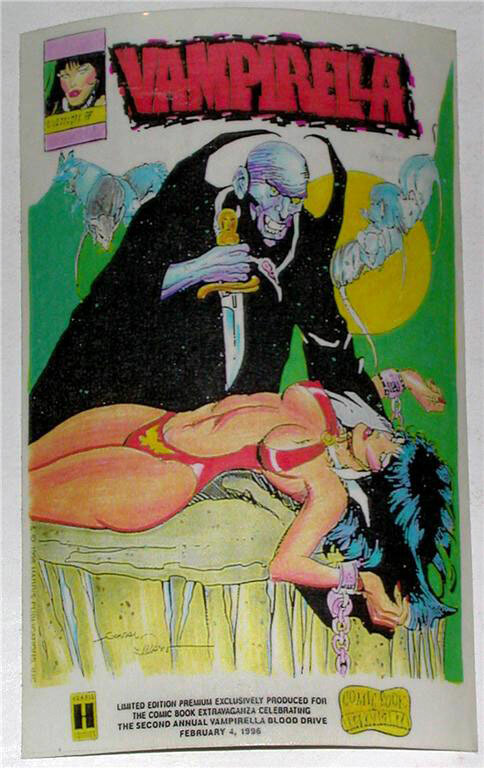 Never sold to the public, this is a quite a scarce Vampirella collectible. I saw these on eBay and had to have them. The listing was in Danish (I think) and I have no idea what they relate to or what they are about.